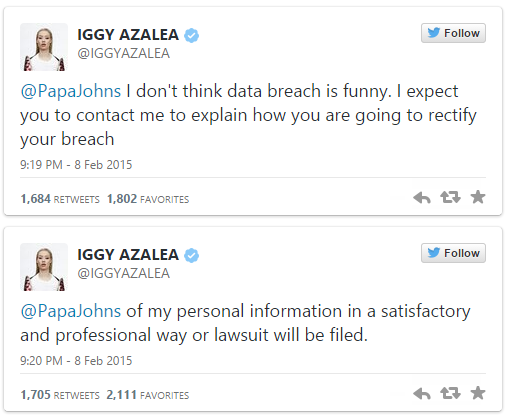 #NationalPizzaDay - Iggy Azalea and pizza company Papa Johns are in a Twitter war and it has to do with what the rapper says is a breach of privacy. 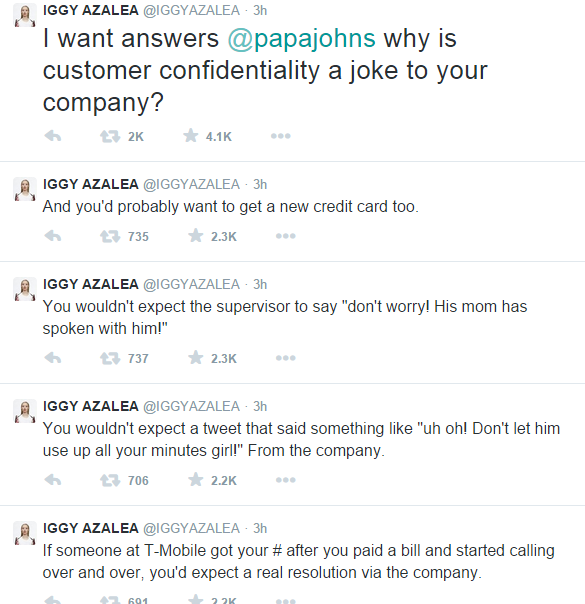 Yesterday, just before attending the Grammy Awards, the "Fancy" singer posted a message on Twitter tagging the Papa John's account, and complaining that one of their drivers gave out her phone number. Below is Papa John's apology which was not well received. 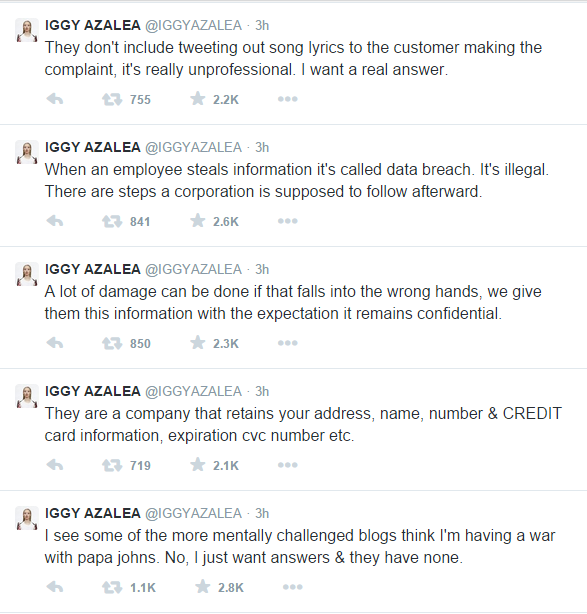 See also the rest of Iggy's rants, including against bloggers. Start from the bottom. @iggyazalea #We should have known better. Customer and employee privacy is important to us. Please don’t #bounce us!